You can now watch the entire Dark Kingdom story arc in English on Hulu or Neon Alley. 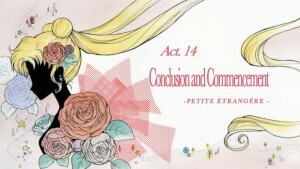 This week we got Act 14, Conclusion and Commencement – Petite Étrangère, which wraps up the Dark Kingdom story arc for good and starts us off with the new Black Moon story arc with the appearance of the pink haired Chibiusa. This new faithful dub will not be calling her Rini like some fans may be used to! 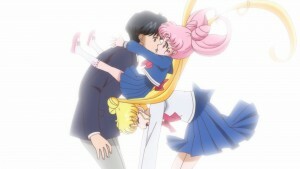 Chibiusa’s voice is provided by Sandy Fox, who also voiced her in Viz’s new English dub of the original Sailor Moon anime. 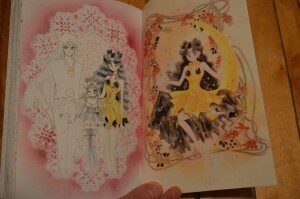 A lot of this episode takes place on the Moon where we get a look at human Luna. 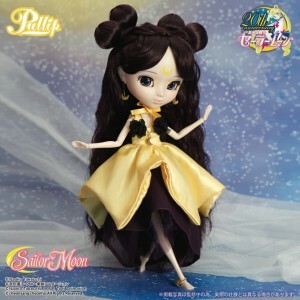 Anime fans will remember human Luna from the Sailor Moon S movie, though she appears in her human form more frequently in the manga. 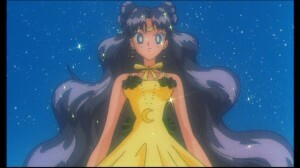 This appearance however is a Sailor Moon Crystal original change from the source material, as we see her earlier than we otherwise should. We see the the image of one of this story arc’s new villains in the fire. 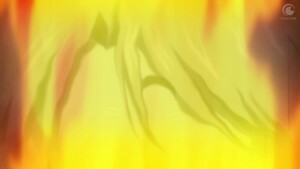 I previously had mentioned that this was Rubeus, because he is who we see in the manga, though some fans have mentioned that his hair looks more like Demande’s than Rubeus’s, which is slicked upwards out of the eyes. What do you think? It doesn’t really change the story but so much to say this is one of the Black Moon Clan’s jerks! 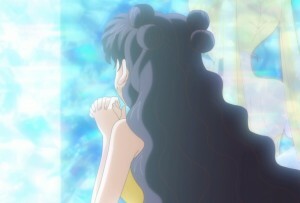 Next week is Act 15, Infiltration – Sailor Mars. With the Dark Kingdom out of the way we’ll meet a lot of the Black Moon Clan and find out a bit of what’s up with this weird new girl who fell from the sky. How long is that title? Oh boy. Also I’m fixing the spelling mistake in “Étrangère” in my posts. I expected Viz to fix the spelling errors the Japanese had made but I guess they’re not French either. Consistency would be nice but the title screen title is different than the Hulu episode title, both of which are wrong.